Finding an elite defensive tackle is difficult for most college programs. Most high-end prospects are found somewhere in the southeast region of the United States. Pulling one from the South to, say, Eugene, Oregon, is a significant challenge. Oregon rarely gets a serious look from elite tackle recruits, so when a blue-chipper mentions Oregon among his top ten schools, the fans get a bit excited. Buckner (left) and Balducci will anchor the defense in the fall. The return of defensive linemen Deforest Buckner and Alex Balducci gave fans hope for an incredible 2015 season along the defensive front. These two veterans will anchor the unit, as only three other tackles with any experience between the tackle and nose guard positions will provide depth behind Buckner and Balducci. Fortunately, the fall will welcome three more tackles in true freshman Rex Manu, Gary Baker and Drayton Carlberg. “Under-the-radar” is more apt than “elite” when describing these three prospects. While many are excited to see if any of them make an early impact, I don’t expect this trio to take over any primary backup duties right away. These incoming freshmen will begin the 2016 season with T.J. Daniel, Henry Mondeaux and Austin Maloata in front of them. Oregon can certainly use additional depth up front though, so picking up an elite defensive tackle for the 2016 recruiting cycle would be beneficial. 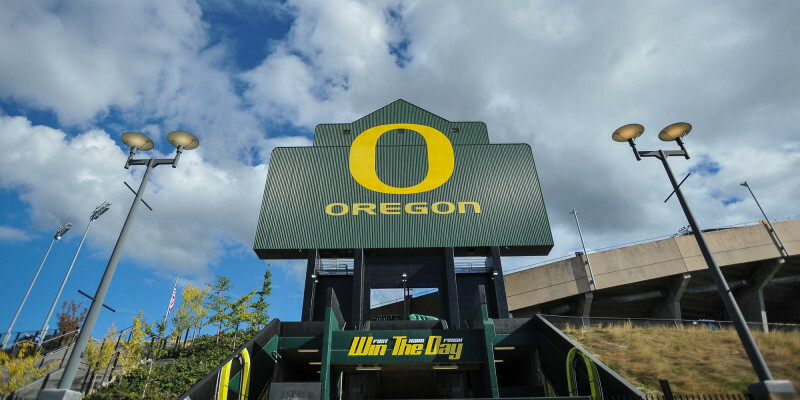 Currently, Oregon has offered scholarships to four defensive tackles. Per 247sports.com, Rashard Lawrence recently trimmed his list to six schools, a list that did not include the Ducks. 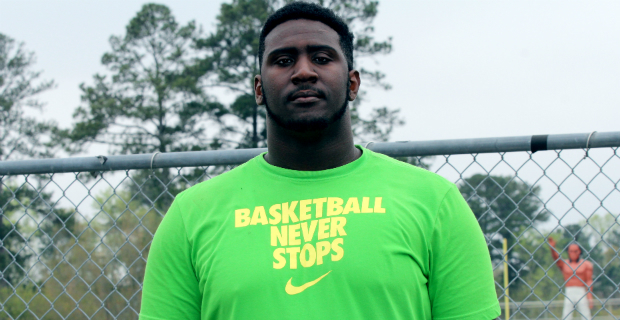 Antwuan Jackson shortened his list to five with Alabama, Auburn, Clemson, Georgia and Ohio State making the cut. Jordan Elliott recently committed to the University of Houston. Julian Rochester shows love for Oregon from across the country. 5-star Julian Rochester recently released a top-ten list, and Oregon made the cut despite Rochester lacking a scholarship offer from the Ducks. That being said, Rochester has two high school teammates in Eugene right now and may feel comfortable enough to make that trek across the country himself. I’ve been pushing Rochester for a while because of the high school connection, mentioning it in this prior article. One problem though: he just committed to the Georgia Bulldogs. This is a mistake, and Rochester needs to give Oregon some serious consideration this fall. Despite his recent commitment, 247sports.com has two schools still leading Rochester’s Crystal Ball predictions: Georgia and Auburn. Auburn has a highly ranked 3-star DT Quinnen Williams committed already. The #8 composite defensive tackle, the aforementioned Antwaun Jackson, has 42% of his Crystal Ball predictions in favor of the Tigers (the highest percentage for any single school). Auburn may also land 4-star Stephon Taylor, whose Crystal Ball is 50-50 between LSU and Auburn. Taylor, however, will not pick LSU because of the superior defensive tackle talent likely headed to Baton Rouge in 2016. A few people are cheering for elite defensive tackles to choose Oregon. Choosing Auburn would probably put Rochester in the mix with Williams, Jackson and Taylor from the same class. This doesn’t include the two defensive tackles picked up in each of the last two recruiting cycles. That’s a lot of competition. Georgia doesn’t look any better, mind you. The in-state favorite already has the #23 defensive tackle committed, 4-star Tyler Clark. The Crystal Ball is 100% Georgia for both 5-star and #2 defensive tackle Derrick Brown, as well as 4-start Michail Carter. And that is only the 2016 class. Last year’s recruiting class saw two 3-star defensive tackles sign in addition to the top-ranked defensive tackle in the nation, Trent Thompson, who is already pegged by Athlon Sports as a 2015 starter at his position. Not only is Georgia a tough place to get playing time, but the Bulldogs seem to underachieve year in and year out. Nearly every year Georgia is predicted as the top team in the SEC East, but it consistently fails to deliver, boasting a mere 46-21 win-loss record over the past five years. To me, that leaves one viable option: the Oregon Ducks. Rochester would be the most highly touted defensive tackle in Eugene since the days of Haloti Ngata, and we all know how he turned out. 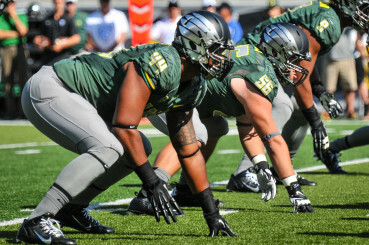 I feel Oregon is looking to add just one defensive tackle in the 2016 recruiting class. And I know that Rochester would not regret a decision to play football for the Ducks. He’s exactly what Oregon needs in terms of immediate impact on defense. If Oregon doesn’t turn out to be his school of choice, then he will definitely be in the running for a ShrineDog Award for 2016. Tuipulotu is an Oregon target for 2017. 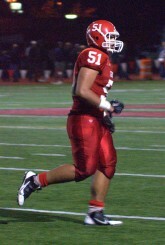 Moving to the class of 2017, it is exciting to know that the state of Oregon has a home-grown premier defensive tackle. He is obviously a high target for the staff. Marlon Tuipulotu will get bigger and stronger in two years and possibly add another star to his current 4-star ranking. Oregon would be wise to put on the full-court press and wrap up this rare in-state prospect early. The Ducks are gradually getting more and more recognition around the country for their exploits on the field. Elite offensive weapons have been on board in Eugene for years. It’s now time that the defensive studs take note and realize what can be accomplished when the defensive talent matches the offensive firepower. Adding Rochester in 2016 and Tuipulotu in 2017 will help the football team take new heights towards its first national title. Thanks to Duck Territory at 247sports.com for sharing this information with FishDuck.com; check out their trial subscriptions for the best up-to-date information on Oregon recruiting.